Students (grades 4th through 8th) at the Academy at Foxborough, will be participating in the Annual Coat Drive hosted by Anton’s Cleaners. Many hard working people are unable to obtain coats for themselves or their families, please help this important cause by dropping your gently-worn winter coats off at the Academy at Foxborough. In response to this important cause, the students will be collecting coats for children and families in need this winter. The Coat Drive will run from October 6th 2014 through January 5th 2015. 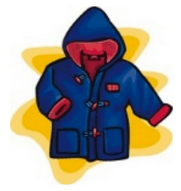 You may donate any gently worn winter coats for children and adults. Donations can be dropped off at the Academy at Foxboro located at 115 Mechanic Street Foxboro, MA 02035. You may contact the school for more information at (508) 543-6500 or you may also contact the Academy Parents Group who are sponsoring the students for this charitable campaign at parentsgroup@academyatfoxboro.org. Every Donated Coat Will Benefit A Child Or Family In Need!! !